Available as Open Access at https://content.iospress.com/journals/data-science/1/1-2. 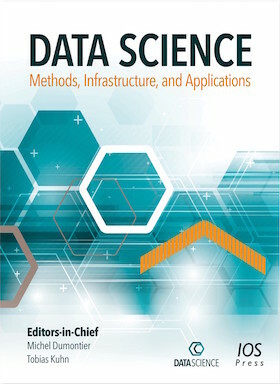 Data Science is an interdisciplinary journal that addresses the development that data has become a crucial factor for a large number and variety of scientific fields. This journal covers aspects around scientific data over the whole range from data creation, mining, discovery, curation, modeling, processing, and management to analysis, prediction, visualization, user interaction, communication, sharing, and re-use. We are interested in general methods and concepts, as well as specific tools, infrastructures, and applications. The ultimate goal is to unleash the power of scientific data to deepen our understanding of physical, biological, and digital systems, gain insight into human social and economic behaviour, and design new solutions for the future. The rising importance of scientific data, both big and small, brings with it a wealth of challenges to combine structured, but often siloed data with messy, incomplete, and unstructured data from text, audio, visual content such as sensor and weblog data. New methods to extract, transport, pool, refine, store, analyze, and visualize data are needed to unleash their power while simultaneously making tools and workflows easier to use by the public at large. The journal invites contributions ranging from theoretical and foundational research, platforms, methods, applications, and tools in all areas. We welcome papers which add a social, geographical, and temporal dimension to Data Science research, as well as application-oriented papers that prepare and use data in discovery research. The journal is open access. The article processing charges are waived during the current starting phase of the journal for papers submitted until 31 August 2019 (this deadline might be extended). The exact amount of the charges after that is to be determined, but they will be moderate in comparison to other similar journals. We are committed to avoid wasting time during the reviewing period. Authors will receive the first decision within weeks rather than months. To achieve that, we ask reviewers to complete their reviews within 10 days. Reviews are non-anonymous by default (but reviewers can request to stay anonymous). All reviews are made openly available under CC-BY licenses after a decision has been made for the submission (independent of whether the decision was accept or reject). In addition to solicited reviews, everybody is welcome to submit additional reviews and comments for papers that are under review. Editors and non-anonymous reviewers will be mentioned in the published articles. All submitted papers are made available as pre-prints before the reviewing starts, so reviewers and everybody else are free to not only read but also share submitted papers. Pre-prints will remain available after reviewing, independent of whether the paper was accepted or rejected for publication. We want to promote an environment where annotated data is produced and shared with the wider research community. We therefore require authors to ensure that any data used or produced in their study are represented with community-based data formats and metadata standards. These data should furthermore be made openly available and freely reusable, unless privacy concerns apply. We encourage authors to provide (meta)data with formal semantics, as a step towards the vision of semantic publishing to integrate, combine, organize, and reuse scientific knowledge. We plan to experiment with different such approaches, and we will announce more details soon. We encourage authors to submit their papers in HTML (but we accept Word and LaTeX submissions too). Data Science is working with ORCID to collect iDs for all authors, co-authors, editorial board members, and reviewers and connect them to the information about your research activities stored in our systems. It is also often a requirement when you submit journal articles or grant applications. Learn more about ORCID at Welcome to ORCID https://orcid.org/content/help. Data Science is published by IOS Press. IOS Press serves the information needs of scientific and medical communities worldwide. IOS Press publishes more than 100 international journals and approximately 75 book titles each year on subjects ranging from computer sciences and mathematics to medicine and natural sciences.